We are well prepared to get to the field but the weather has yet to cooperate. All the equipment, besides the soybean planter is ready to go. 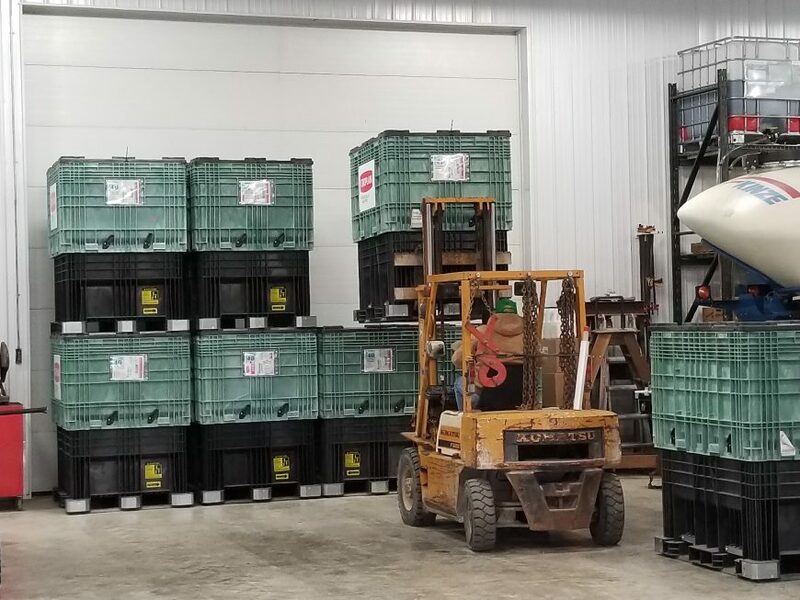 The soybean planter is scheduled to arrive early this week. We are again working with Great Plains and doing further testing for them on a dedicated soybean planter as we did last year. All the corn seed and much of the soybean seed is already on the farm. It is our plan to once again plant soybeans early, starting as soon as the weather and crop insurance allows. Last year’s soybean yields showed a large advantage to early planting. With our rotation, once again adjusted to 2/3 soybeans and 1/3 corn, focusing on the management of the beans will be important. Everyone has probably seen the uncertainty in the market with all the recent politics and trade talk. We have once again been very aggressive in our soybean marketing and also have some corn sales made. Hopefully the weather will dry up and we’ll get rolling soon. The rain has been appreciated and it is nice to know that the season will start with a full supply of groundwater!